We will be kicking off another great year of croquet in the San Gabriel Valley with the inaugural Ornery Ostrich Doubles Tournament. The event is named in honor of the historic Cawston Ostrich Farm, which generated world-wide acclaim for South Pasadena in the 1920s. The format will be hi-lo doubles, in which each player will have a different partner and opponents each game, with the more experienced players being partnered with the less experienced players, etc. This kind of format is socially conducive, as well as being a great opportunity for newer players to learn from their more experienced partners. After all of the matches are completed, the players will be ranked in order of win-loss record, net wickets and gross wickets. There will be no play-offs. The top half of all the entered players will be guaranteed to win an award. The event should conclude by the afternoon. There is a $10 entry fee, to defray the costs of the awards. 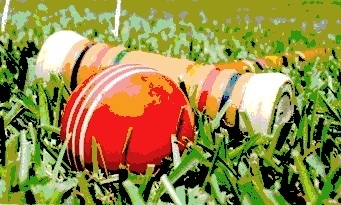 Anything left over will be donated to the USCA’s 9 Wicket Group. For any further information, or for an invitation to enter, please contact Tournament Director Eric Sawyer at (323) 257-8541. Entries must be received by no later than March 10, 2010.